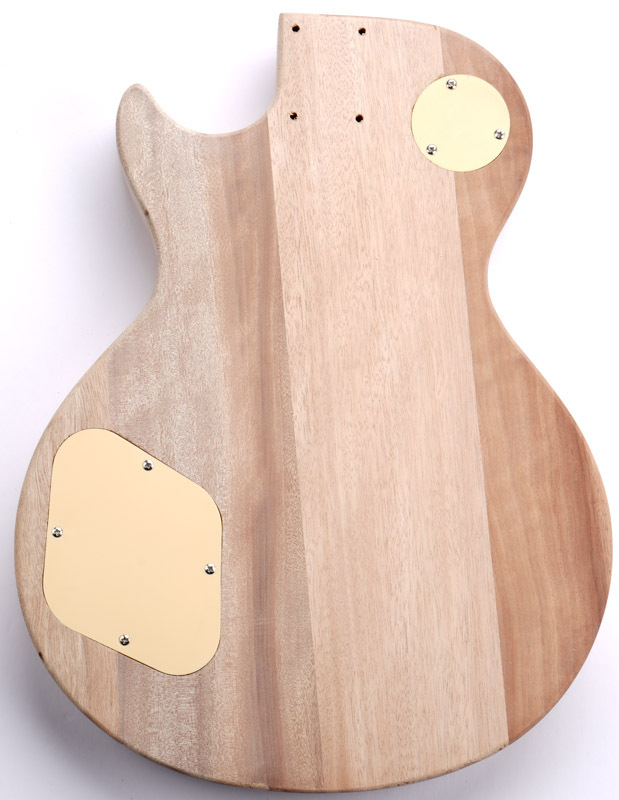 Unfinished LP Carved Top Body- SOLID Mahogany- Flamed Maple Veneer- Bolt On - Free Rear Plates! Home > Necks and Bodies > Bolt-On "set Neck" Style necks and Bodies > Unfinished LP Carved Top Body- SOLID Mahogany- Flamed Maple Veneer- Bolt On - Free Rear Plates! 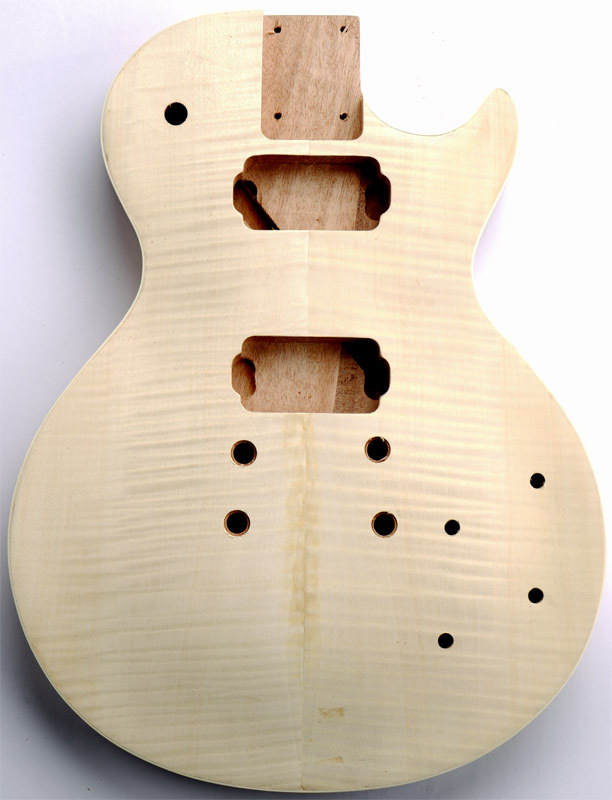 How about a nice SOLID MAHOGANY carved top LP style body for THIS kind of pricing? These are very nicely cut vintage spec LP bodies. Made from SOLID mahogany, not Basswood or some other softer, less resonant wood. 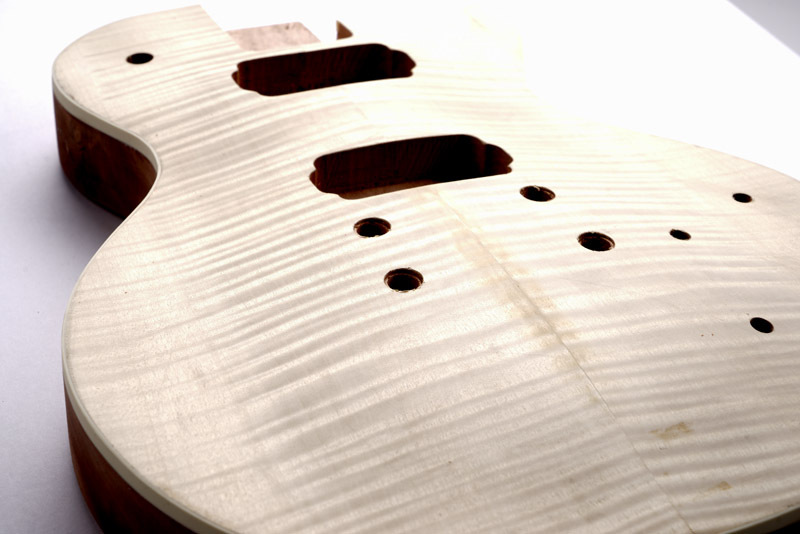 A true vintage style carved top with binding is in place with HIGHLY flamed maple veneer- sweet! 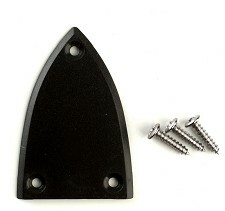 They are properly cut to load a pair of humbuckers, regular style pots and toggle switch. 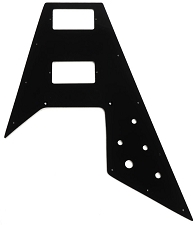 The neck pocket is the now-standard 57mm LP style slot, and ANY of our setneck style necks fit- Sure, go ahead and put a flying V neck on a LP- it's up to you! 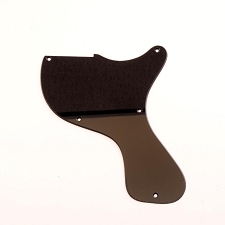 The body is cut for any of our standard import spec tuneomatic bridges and stop tailpieces, and is also an easy fit for upgraded parts like USA stuff and Slick brand brass stuff. These are brand new, and are ready for final sanding, grain filling and final finishing. A pair of control cavity covers have been pre-installed for free! 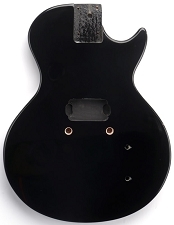 LP Junior Body- SOLID Mahogany- Gloss Black- Bolt On Free Rear Plate! Single Pickup. 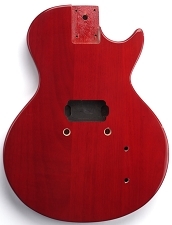 LP Junior Body- SOLID Mahogany- Vintage Cherry - Bolt On Free Rear Plate! Single Pickup.